From Thursday 18 May 2017 until Tuesday 31 December 2019: Enjoy 10 % off! From Tuesday 19 September 2017 until Tuesday 31 December 2019: Enjoy 15 % off! 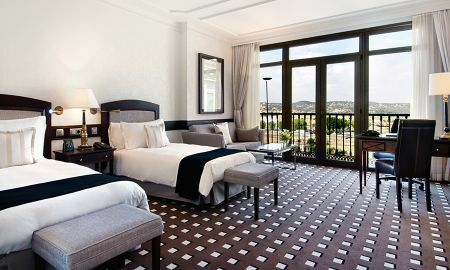 Overlooking Toledo and perfectly combining history, modernity, luxury and tranquillity, Eurostars Palacio Buenavista is housed in the site of the former 16th-century Buenavista Palace, which once hosted great writers, poets and playwrights, such as Miguel de Cervantes and Tirso de Molina. 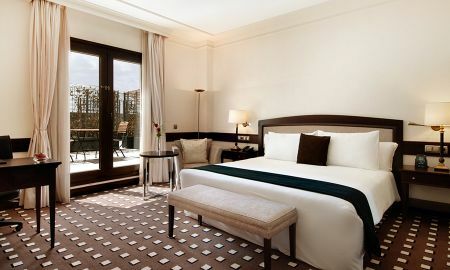 Each of the 109 exclusive rooms and suites boasts ample space, high-quality beds and breathtaking views to ensure a comfortable and relaxing stay. 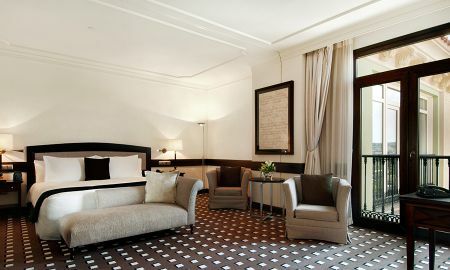 The hotel also has fully-equipped junior suites with unique décor and 13 rooms adapted for people with reduced mobility. Guests can enjoy traditional Spanish dishes and the latest in culinary innovation at Quixote Restaurant. Located in the imposing dome over the hall, Toledo Bar & Restaurant offers a delicious lunch menu and serves snacks, light meals, wine, cocktails and other beverages every day until 2 am. With a surface area of 1500-square metres and a hydrothermal circuit including 3 specially deisgned well-being areas, The Spalace Wellness Center is the most comprehensive spa in the whole of Castilla La Mancha. A wide variety of massages and face and body treatments are also available. Eurostars Buenavista Palace's picturesque, spacious garden can be accessed through the spa and features spectacular views over the river and old town. Other facilities include an outdoor swimming pool, a 24-hour fitness centre and indoor parking. 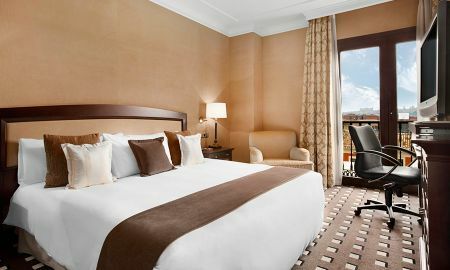 Just a 5-minute drive from Toledo's old town, Eurostars Buenavista Palace is within easy access of shops, entertainment, cultural hotspots and tourist attractions. 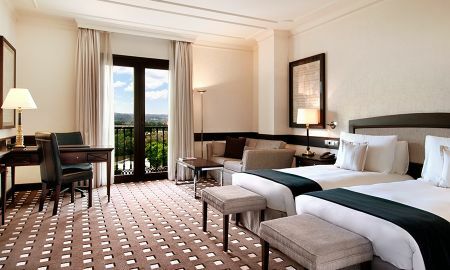 Eurostars Buenavista Palace is a 45-minute AVE highspeed train ride to Madrid-Barajas International Airport, or an airport shuttle service can be arranged at an additional charge. For bookings with children under five years, breakfast is free of charge. Children over 5 to 12 years old pay 7.50 Euros per day. Children over 12 years, 15.00 Euros per day. The pool is open from 1st June until 15th September, from 10:00 to 21:00. Rest of the year closed.